3. URL of spoof website disguised as https://secure.regionsnet.com/EBanking/logon/user . This looks secure but is NOT! 4. Real URL looks nothing like Regions. 5. Website traced to Muenster, Germany. 6. Spoof website not online at time of report.
" 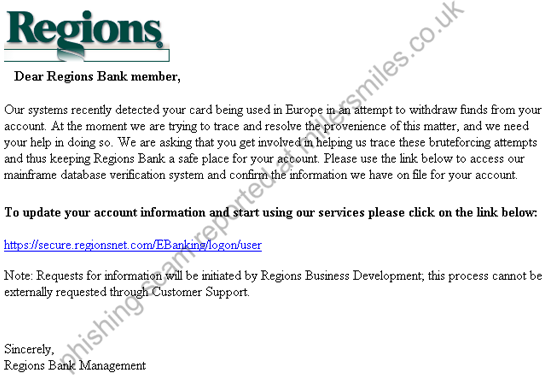 Our systems recently detected your card being used in Europe ..."